Exploring a new city while simultaneously getting from point A to B is an ideal form of mobility for the broader public. Specially for foreigners to do some physical activity and to actively participate in the daily life of locals, transmits special experience. The bike sharing system is currently well-established around the globe and particularly convenient in larger cities. Additionally, in times of increased global warming and awareness for the environment, the idea of bike sharing is becoming more and more attractive. And Brussels with its Dutch influence seems to be a suitable market for this kind of business. We have explored the city ourselves by making use of the bike sharing concept Villo, which is one of the four options to rent a bike. 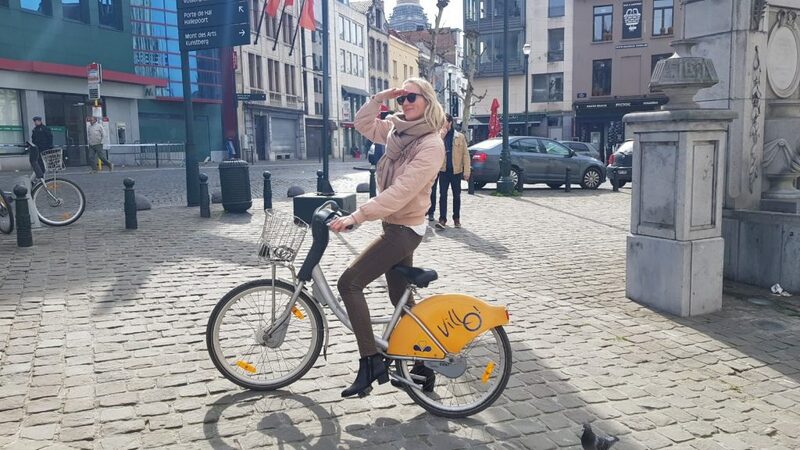 Villo started 2009 as a cooperation between Brussels-Capital region and JCDecaux Group (multinational cooperation for public bike rental systems). The service is well-established with rental stations in all 19 districts of Brussels providing 5,000 bikes. However, as non-cardholders of Villo, the current bike-sharing service revealed to be very inconvenient for tourists. The rental process is lengthy, barely readable, unclear, using a highly outdated software. Apart from our experience, a local user explained to be satisfied with the service and frequently makes use of it. Being a “super-user”, he also benefits from incentives in the form of additional free-riding minutes. Furthermore, he reported that there is almost never a shortage in bikes. This is in line with what we have observed at four stations that mostly all bikes were available. Overall, one can observe that bikes are not as popular in the streets of Brussels as they are in other Nordic cities. Whereas apparently the electric scooters have a higher demand due to their convenience with a flexible, digital rental process. In terms of market competition, these other transport options need to be considered. 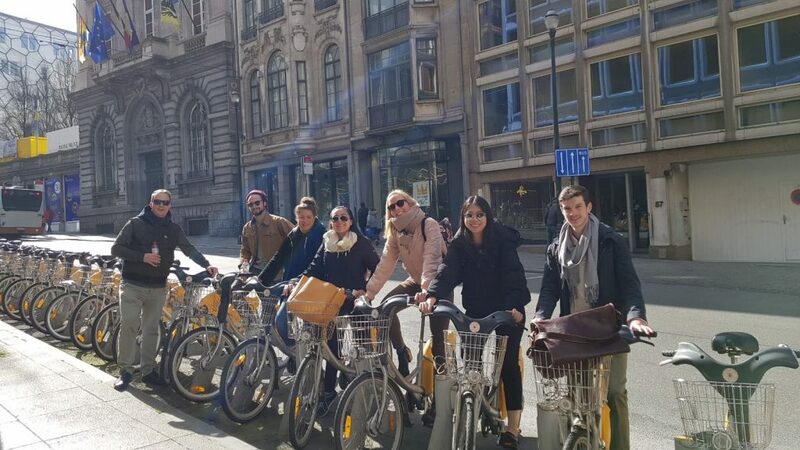 The current bike-sharing rental service in Brussels is well-established but according to our observation, there is some room for improvement and innovation. When entering the market in Brussels, one should consider a rental service convenient and easily accessible to locals but also tourists. Meaning to offer a service that is easy and fast also for occasional users. A new market entrant should focus on a more digitalized service to differentiate from current providers and add attractiveness and flexibility. Additionally, strategic alliances with tour agencies and local volunteer tour guides are recommended, as it could open up new business ideas. Furthermore, partnering with the Bike Committee in Brussels can open new doors. In terms of location, the bikes should be spread throught the 19 districts including residential areas. Although the market seems saturated, there is still market potential by offering user-friendly services. For instance, as a new entrant one could provide a customer-oriented rental service. This would motivate more people to change to a more sustainable and convenient way of transportation. Go local and target waffles! Brussels is famous for its market place and the “Galeries Royals St Hubert”. Luxury goods such as jewelry, diamonds, watches and chocolate are sold all around this place. Rue Neuve is the most famous and prestigious shopping street in Brussels with 43’000 visitors every day. However, luxury brands must share the street with more casual and low-priced brands such as H&M, Zara and Uniqlo; hence, the luxurious and glamourous flair is compromised and not as dominant as in the “Galeries Royals St. Hubert”. 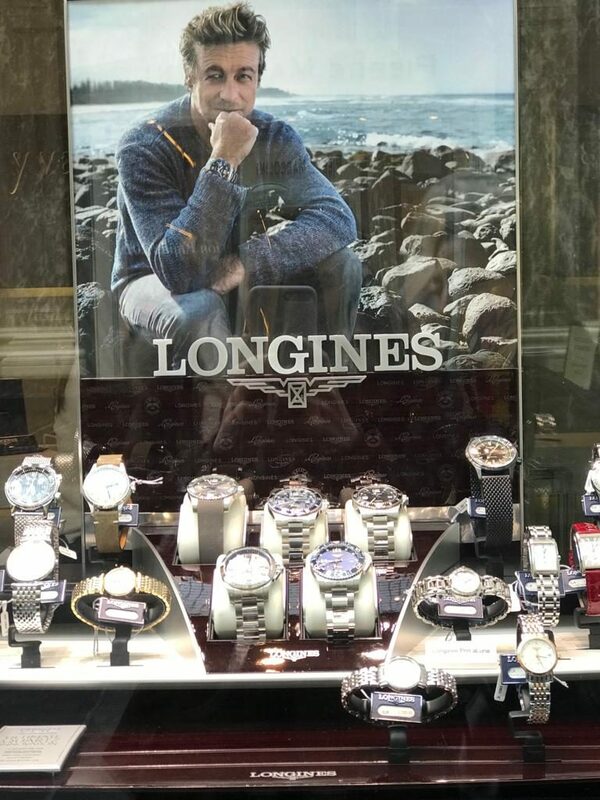 Based on our observations, Swiss watch brands seem to be present in Brussels mainly through high-end retail stores and jewelers. We did not find any mono brand stores of luxury watch brands. Consequently, to establish a strong market presence and perception among potential customers and to differentiate from already established competitors, a mono brand store could be opened. 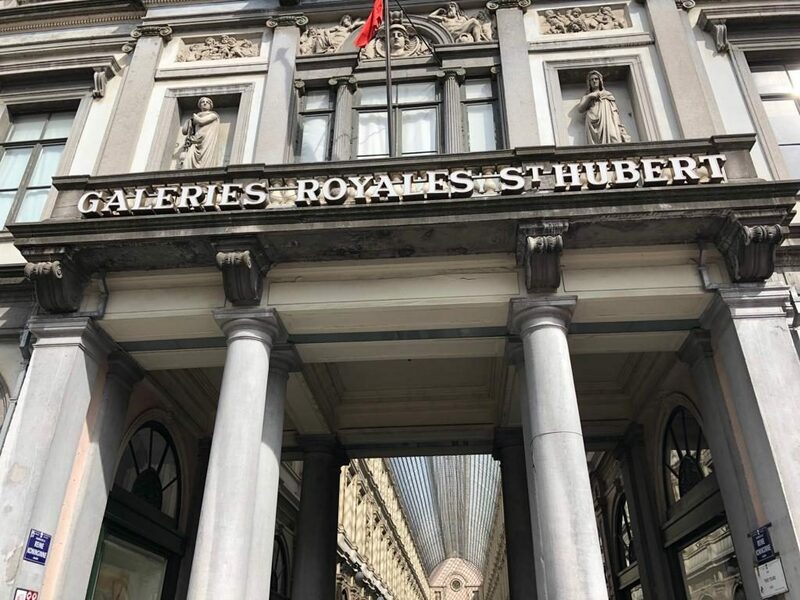 Preferably in the “Galeries Royals St. Hubert” as it is one of the most visited places for luxury products in Brussels. 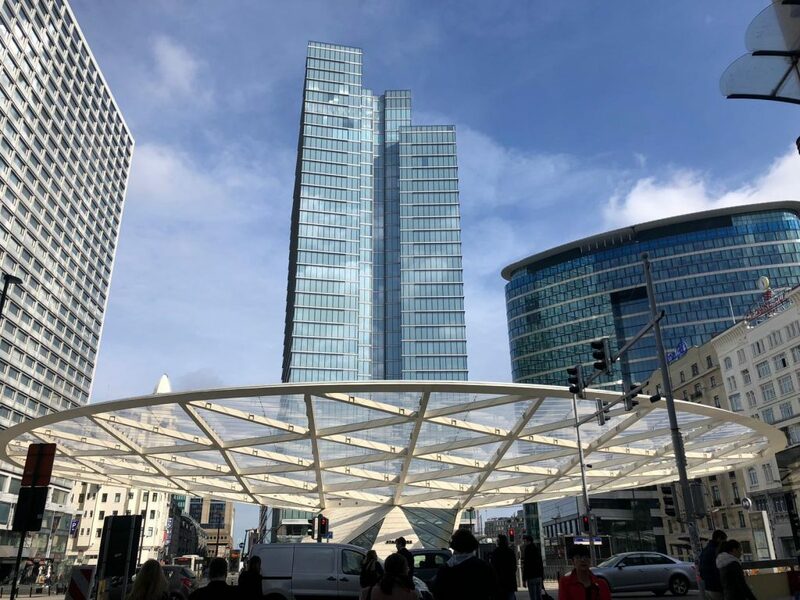 Even though there is no space available now and the rents are immense, it is still concluded that it is the main place to position a Swiss high-end watch brand in Brussels. 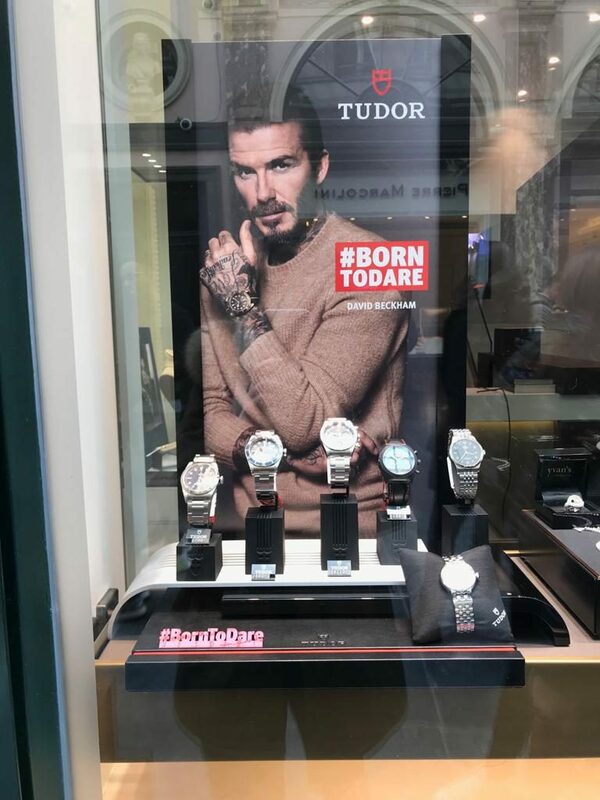 Already established partnerships with retailers do not need to be terminated, since it is recommended to the Swiss watch company to open a mono brand store. The store could function as a flagship store and marketing tool to attract new customers. It should offer a small and exquisite assortment of watches that complements the offering of retail stores and does not compromise it. Furthermore, through the mono brand store the watch brand can offer the ever-important customer experience that is essential to the majority of high-end watch buyers. Through own stores the company can better communicate its values and understanding of the meaning of luxury. Additionally, it is easier to build and foster relationships with clients. Particularly in the high-end watch industry, where customer loyalty is comparably high, a strong bond between the brand and the client can lead to long-lasting relationships. Mono brand stores allow a certain brand to offer complementary after sales services. An additional benefit to the customer and chance to improve the customer-brand relationship for the company. 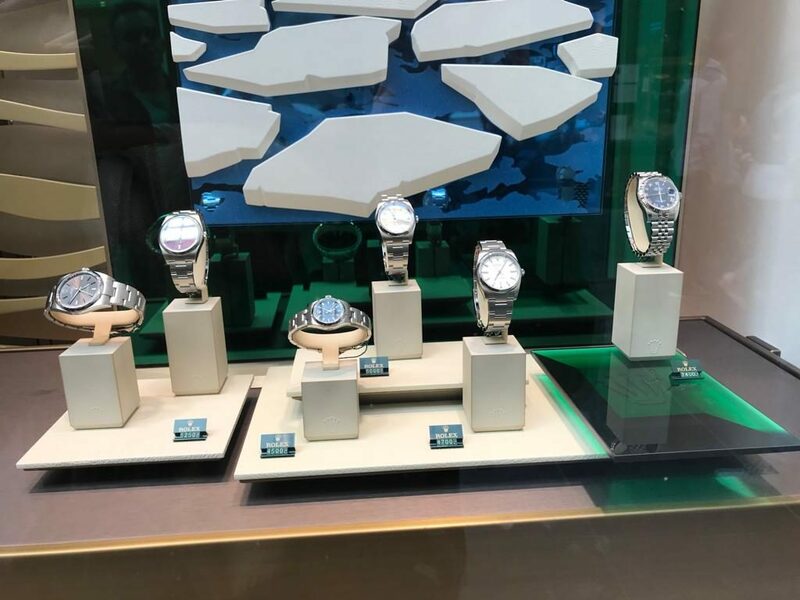 Competition in this area is existing since mainly Yvan’s Jewelry store is located thereby too and sells various luxurious watches such as Rolex, Longines, Vacherin Constantin and Tudor. In general, competition is relatively high. The usual suspects when it comes to luxury watches such as Rolex, IWC, Omega, Hublot and Patek Philippe are all present. However, the domestic high-end watch industry is basically nonexistent. 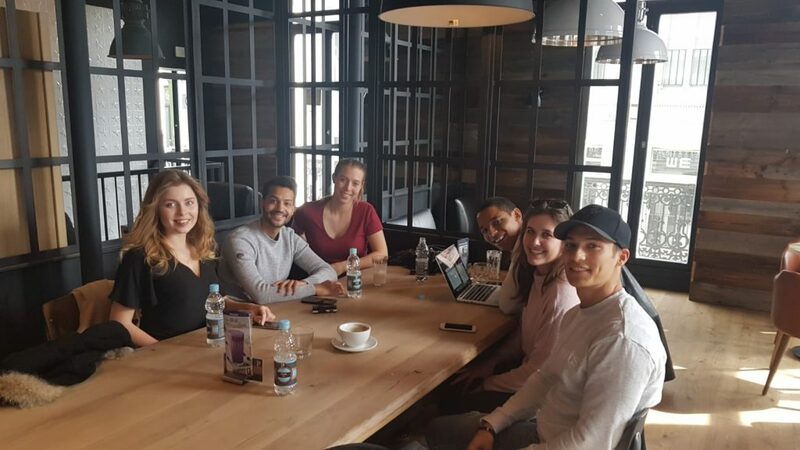 To further establish a strong position in the market and increase brand recognition and customer experience, cooperations with existing companies such as luxurious chocolate stores could be established in the early phase of the market entry efforts. To summarize our findings, we can definitely say that there is room and potential for further luxury watch stores. Even though the competition is rather high, the lack of mono brand stores opens up opportunities for new concepts to convince new possible customers. 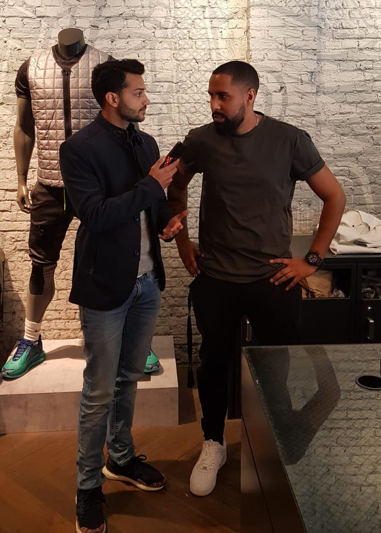 On is a Swiss sports shoe brand looking to internationalize into different European markets, with Brussels being the centre of the EU, offering great potential for On to expand to. On is a pioneering sports shoe with innovative disrupting comfort technology changing the running shoe game! The Region around Brussel is surrounded with idyllic green spaces offering the perfect opportunity for Joggers to go for a run. According to Brussels Express, 54.4% of Belgium’s capital is made up of green space. This figure presents more green spaces than other major cities such as London and Berlin. The average salary in Brussels is 3908€ per month, as of July 2016. Having a relatively above average salary, the population in Brussel can actually afford buying the premium quality running shoe. Brussels is the ideal spot for sports enthusiast, hosting the Tour de France as well as a city marathon in October. The marathon could present the perfect opportunity for runners to show their On shoes and leave the competition behind. 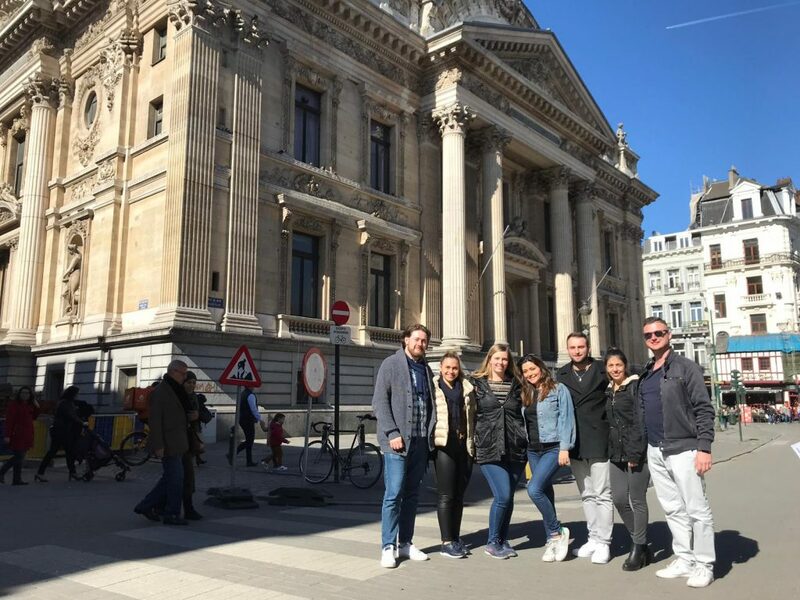 In general, the capital of Belgium is known for a healthy lifestyle, a trend which absolutely agrees with the philosophy of the Swiss company. 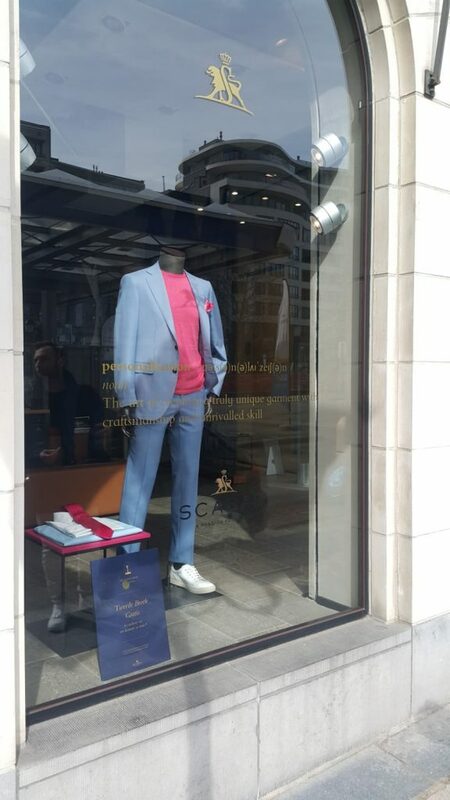 Having walked the streets of Brussels, we found the ideal spot for On to showcase their shoes. Positioned in the heart of the city in perfect surrounding of other stores, tourists as well as local people will be exposed to On. This busy part of the city will be perfect to give the brand the most exposure as it is very unknown to the country yet. This has been the result of multiple interviews which were conducted with pedestrians as well as store managers. By choosing this location the main objective will be to increase the brand awareness. The mainstream players in the sporting goods market are represented however there is still the great potential in the niche market for a premium sports shoe brand like On. On offers a shoe that is appealing to a wide range of consumers by offering a broad variety of colours and designs, however keeping a unique look. Even though it is on the upper range price wise compared to the other major sporting brands, it is not classified as a luxury brand. “The young generation looks more towards style than comfort” says the store manager of Nike here in Brussels. However, On aims to disrupt this by designing a stylish and comfortable shoe, giving joggers the feeling of running on clouds. 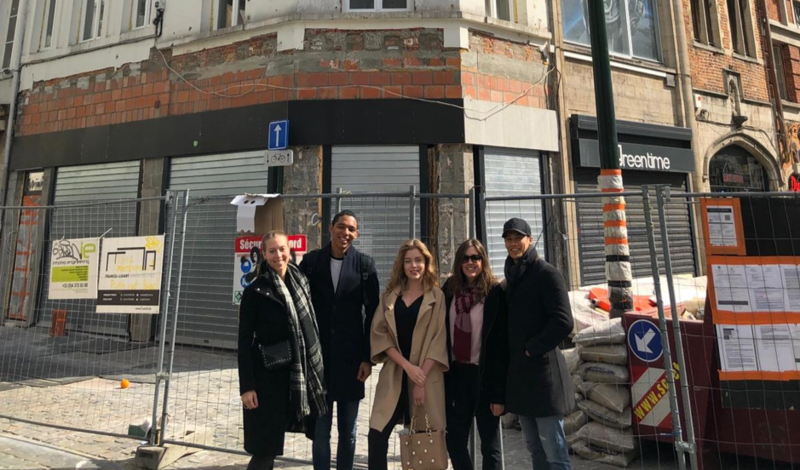 Having analysed the market potential in Brussels with regard to jogging equipment we confidently believe that on can make great strides by opening another flagship store in Brussels. 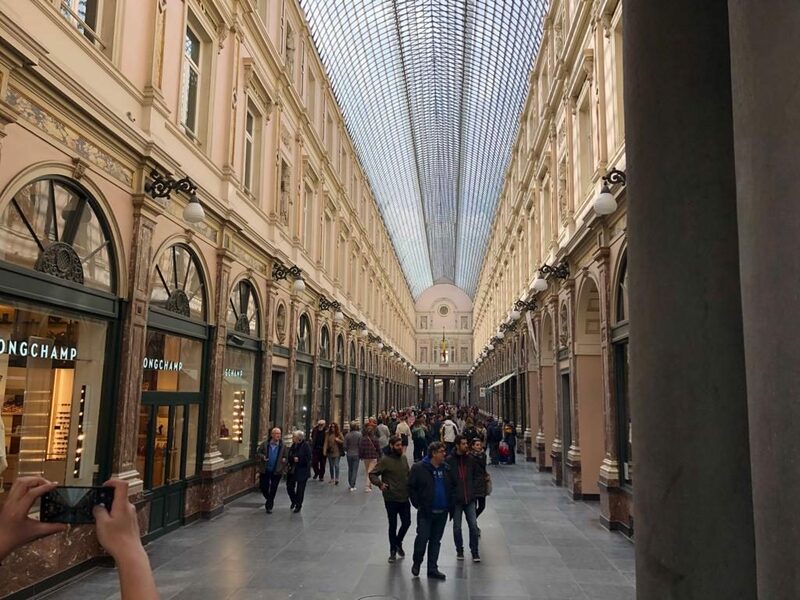 As one of the major cities in Europe, Brussels shows a highly competitive retail market, has however lost its attractiveness over the last view years for the luxury segment (Baheux et al., 2016; Delguste, 2017). As a luxury clothing brand for men, the positioning is in the higher price segment targeting businessmen with a keen interest in pursuing a sustainable lifestyle (CSCP, 2012). Customers, awareness for sustainability and readiness to pay a surplus for environmentally friendly brands show market potential in the luxury segment in Brussels. On the one hand, the brand faces global luxury clothing competitors such as Hugo Boss, Armani Fashion, Hackett London and Scabal. 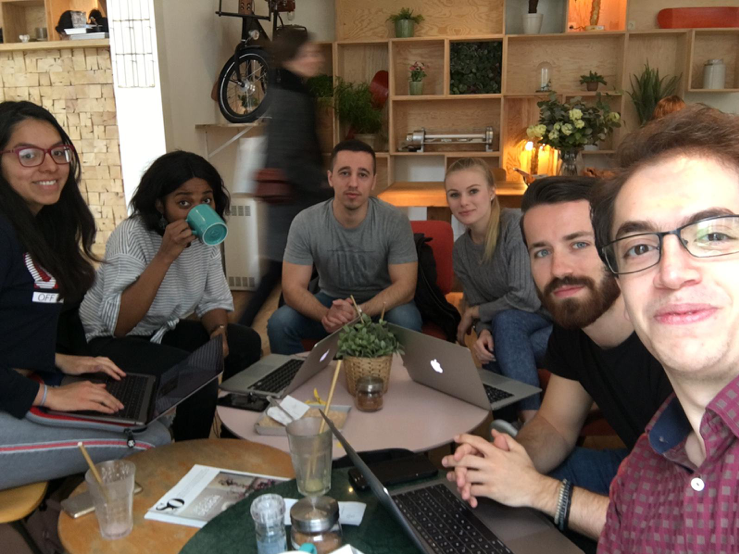 On the other side, however, brands advertising with highly sustainable clothing in men’s fashion are more active in casual clothing or women’s fashion sector. 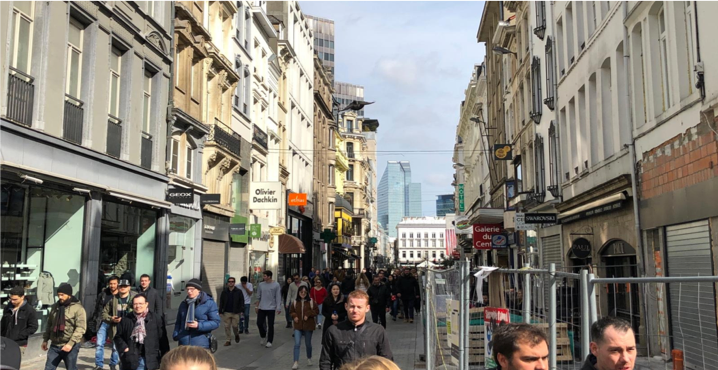 Hence, even though there are several luxury men clothing retailers, the combination of premium clothing and sustainable lifestyle shows a niche market not yet fully saturated when looking into Brussels shopping streets. The highest increase in purchasing channels can be observed In Store (pwc, 2017). 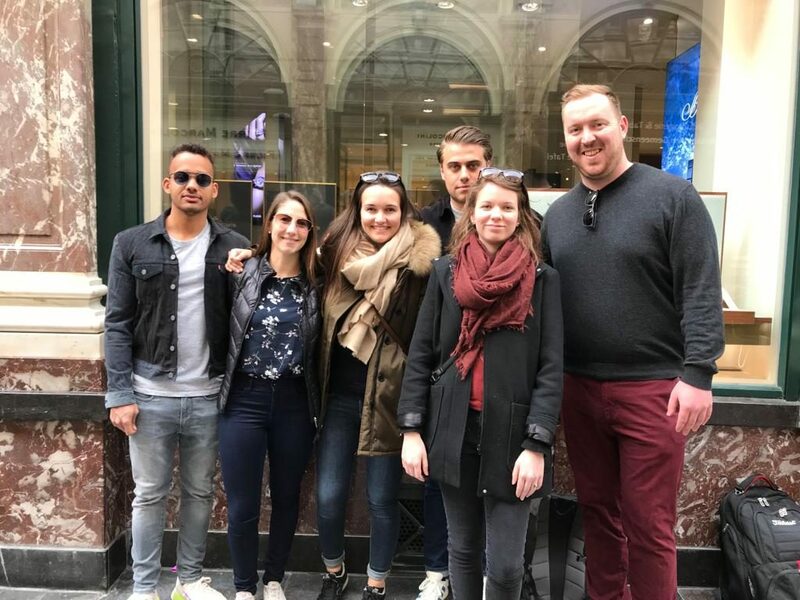 Furthermore, a survey by PWC has shown that for Belgium consumers, highly educated sales associates in the store is crucial and almost half of the surveyed customers expect to be able to see, respectively order an extended range of products on an in-store screen. 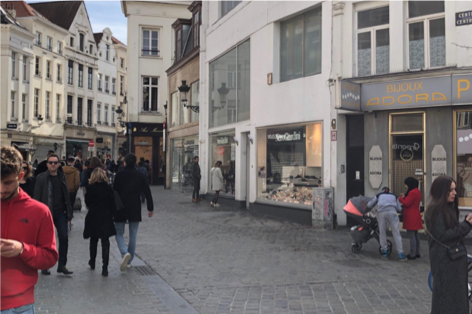 Consequently, brands establishing a retail store in Brussels can enter the market with their core products in-store and using an in-store screen to display further products. With highly educated and professional salesforce, the Belgium customer is ready to chose and orders from the in store screen. Jozoku needs to focus on its core value producing sustainable premium suits in dedicated premium location to shape the brand as a whole to create the authentic brand experience for its customers (Meacham, Bloch, & Brusselmans, 2013). 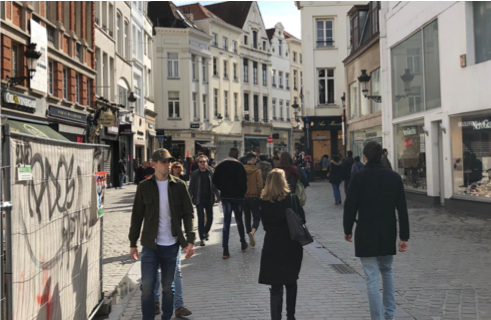 Despite the growing market a lot of competitors in the premium retail sector have also identified Brussel to be a rewarding location for profit as well as brand creation. Brussels being an international business hub will also help to create publicity and global brand awareness. Beer brewing in Brussels dates back to the 12th century and is therefore very incarnated in Brussels DNA. The beer drinking culture has even been recognized by the UNESCO as an „Intangible Cultural Heritage of Humanity “. Brussels is the home of many breweries and has seen a rise in innovative craft beers. Brussels breweries produce over 1,000 different types of beers, which have contributed to a very diverse beer industry in Belgium. Since craft breweries have been on the rise globally, the demand of such beer in Belgium has grown and helped establish many more microbreweries. Belgium today has over 230 craft breweries that produce some of the best craft beers worldwide. During our study-trip we had the opportunity to experience this rich beer culture ourselves. Interested whether a Swiss craft beer brand would be successful, we gathered insights from locals and tourists. The interviewed Belgians are all very proud of their beer and prefer drinking Belgian beer instead of any other due to the perceived high quality of the beer. On the other hand, internationals mostly prefer beer from their own country. In general, quality is highly important and outweighs the price. Most tourists are willing to try Swiss beer while locals are more hesitant to do so. Both of them mostly associate Switzerland with chocolate, mountains, snow, and cheese. However, neither of them was aware that Switzerland produces quality beer. 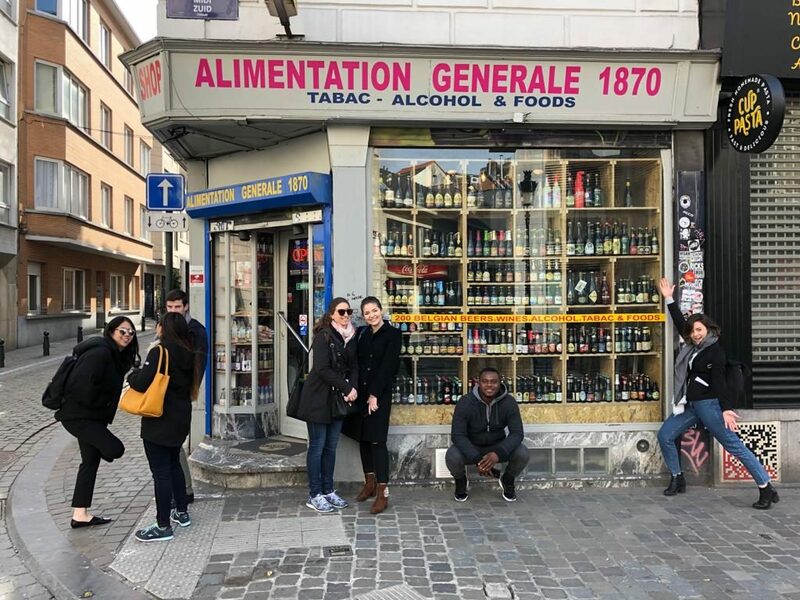 Additionally, the local corner stores have a wide range of Belgian beers with only a few well-established international brands such as Heineken and Corona. 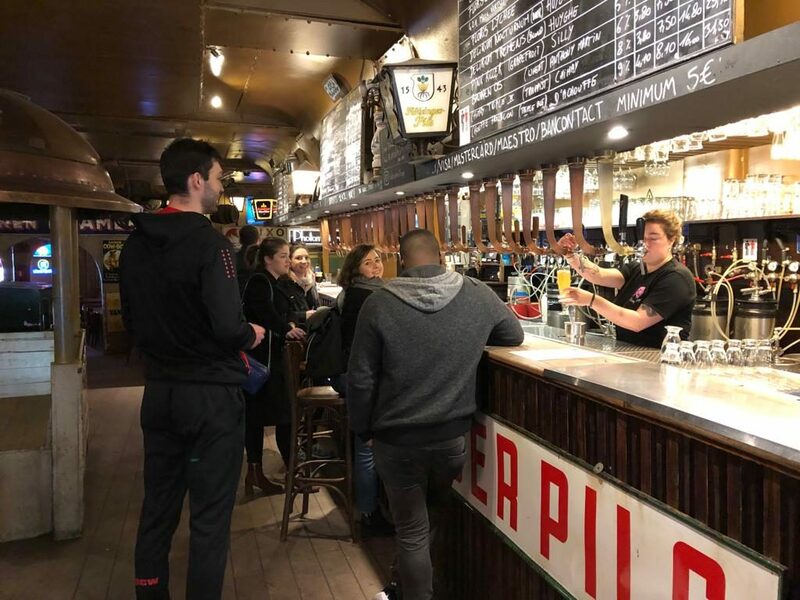 However, for people looking to try international beers, well-known local bars can be visited while smaller bars mostly concentrate on offering Belgian beer. A well-recognized local bar has had a Swiss beer in their selection but stopped selling it. Conclusively, the biggest threats for the establishment of Swiss craft beer are competitors such as Westvleteren, Chimay Bleue, and Cantillon. When entering Brussels, Swiss beer would need to be adapted to local preferences. Women tend to prefer fruity and light beer, whereas men tend to stronger and fuller beer. For this reason, Swiss craft beer brewers should use a differentiated strategy for the gender in Brussels. To conclude, demand for the Swiss craft beer would exist yet to a certain extent in the short-term. Moreover, Switzerland has a positive reputation for quality products, which could be helpful when introducing a new product. On the contrary, since Brussels has many existing craft breweries, the market is highly competitive. For this reason, it would be difficult to change the buying behaviour on the market in Brussels. Introducing Swiss craft beer in the Brussels, would therefore not be an easy journey. The Brussels beer is strongly dominating its local beer market and “foreign beers have had little to no success so far” according to Jean-Louis Van de Perre, expert in the Belgian beer market. Therefore, a market entry for Swiss craft beer in Brussels is not recommended. 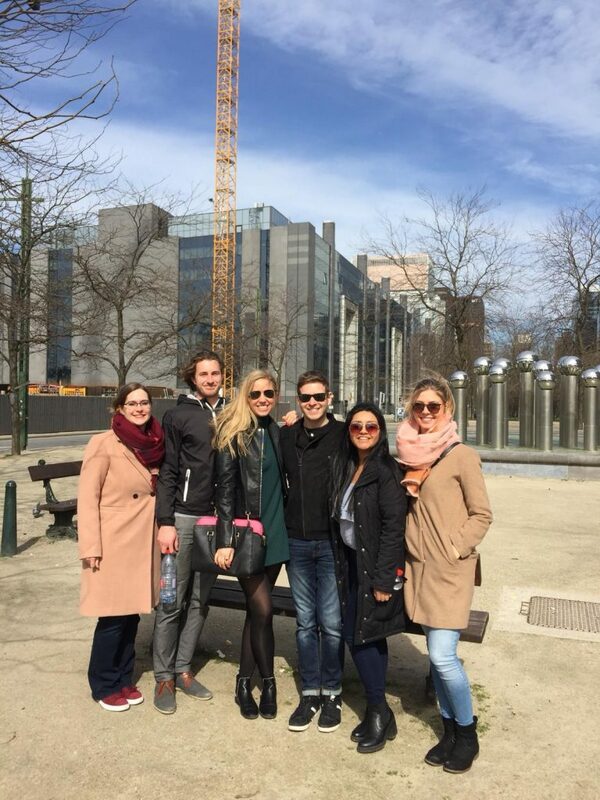 Sunday, 24 March – The city of Brussels is melting pot of cultures and people from all over the world. The city is an appealing mix of historic flair, modern architecture and street art. 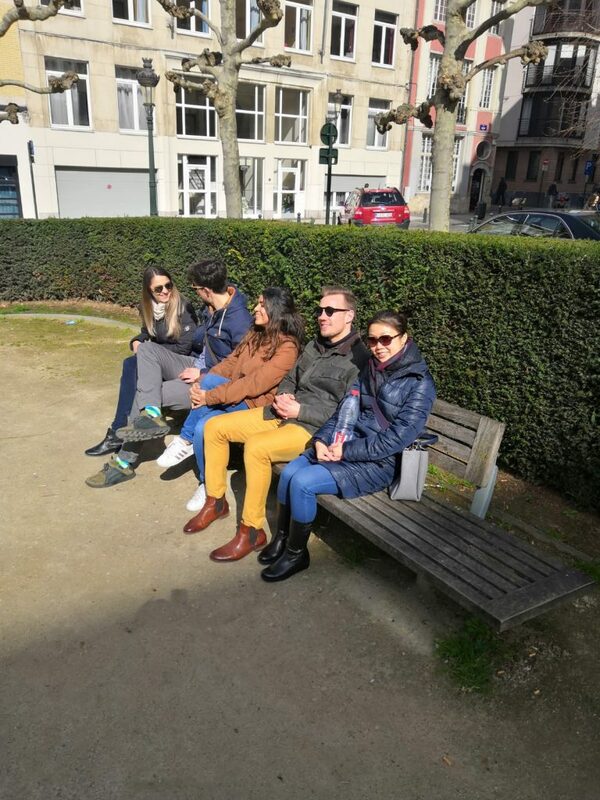 As a typical scenario of big cities of the world, in Brussels you experience the coming together of residents and tourists for a wide range of activities like leisure, sports, meet-ups, demonstrations or simply a game of chess. This makes it important that the city is equipped with the right infrastructure to enable its citizens to enjoy a quality standard of living. On this sunny Spring day, we took a stroll around the city and parks and came across an interesting observation. 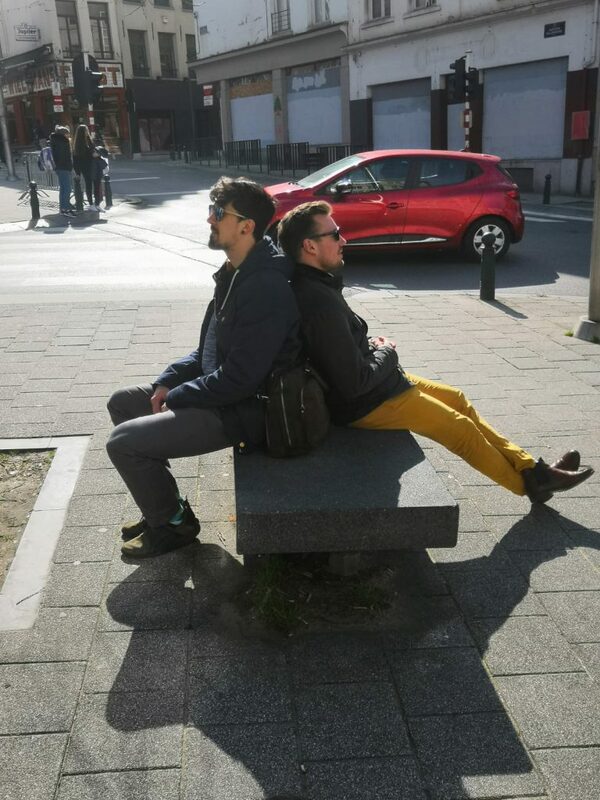 The street furniture in the City of Brussels is not only inadequate but is also purely functional, soulless and kinda boring. We took the opportunity to speak to some local residents and found that we are not alone in our observation. 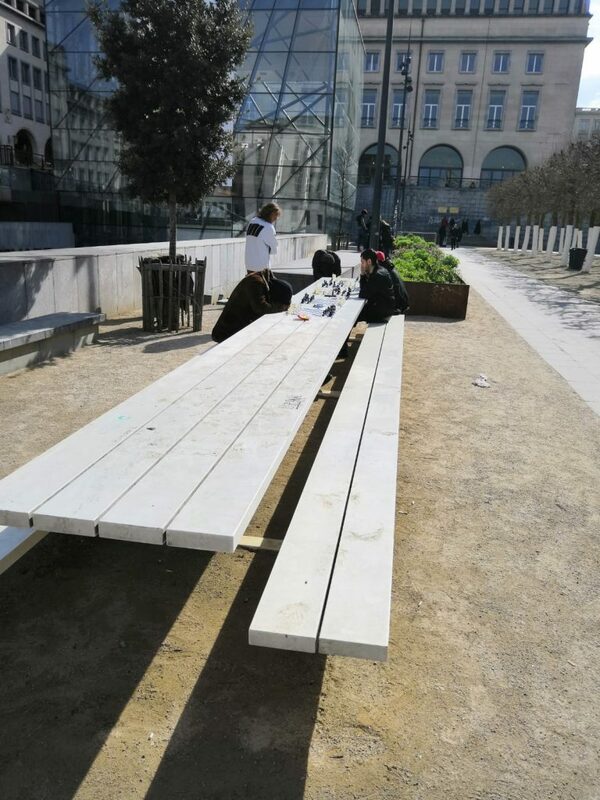 They revealed that more street furniture is needed and incorporating colorful and attractive elements would be appreciated and a sight for sore eyes. It is interesting to note that modern art was mentioned several times. An example would be art installations where modern and colorful furniture is displayed and accessible to the public. There are currently several large players (e.g. Urbanstyle, WolternsMabeg) supplying street furniture in the local market. However, most of their products are run-of-the-mill. The city council also encourages art elements by mandating that up to 2% of public and private construction cost for are used for this purpose (for the latter, only those with subsidies apply). Till date, the focus of such projects is often confined to sculptures and impressive mural paints. There is thus a potential to tap upon this construction budget to integrate art and culture into public furniture. Furthermore, the local government supports projects which are in cooperation with the local art institutions as the MAD. However, a problem exists and that is the longevity of such installations in terms of keeping them off vandalism. It lies in the material where specialized knowledge is required. This is where the Swiss expertise comes into picture. After providing an appealing overall design in a material that is sustainable and provide a stylish surface, the local adaption is the next step. As Brussels has a strong local art community, a local event such as the Brussels Art Week could be used as a platform. Local artists can paint the furniture which then are coated to make them resistant. Nevertheless, there are 19 Communes in the city which are ordering their furniture independently. To get access to them and receive large contracts might however be very challenging for a Swiss company. Therefore, we highly recommend that Swiss companies enter the market with a local collaboration with the communes. This way the city of Brussels gets not only durable street furniture but one that adds to its artistic appeal. 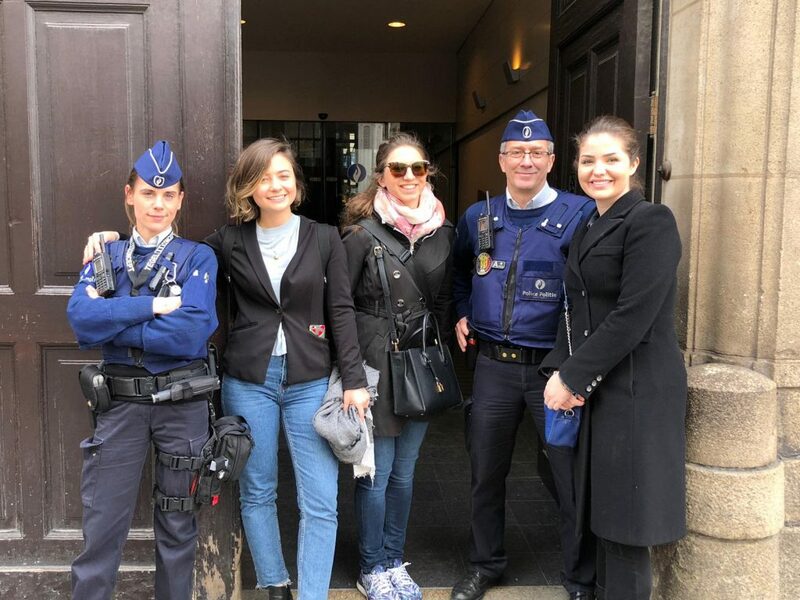 Brussels, the Belgian capital and the headquarters of the European Union and many of its institutions, is going through a modernization of its territories. Through the modernization and its commitment to adhering to the complete values and aspirations of the European Union in terms of supporting their environmental-friendly policies. Hence, when it comes to the construction of buildings, the quality of the windows is of vital importance in order to preserve energy. Through this individuals can contribute to preserving the environment and working towards a greener future. For a company to successfully enter the Belgian’s capital city of Brussels some factors are important to consider. In the last decade, Brussels has turned from the being at the end of the list of role models for preserving energy to a leading figure, through renovating many older building and constructing many new ones. As older buildings tend to have older windows which to not retain warmth and therefore lead to a loss of energy. The city consists of nineteen districts where each boasts their individual unique construct of architecture and originates from different eras. When wanting to enter the market possible adaptions to the individual needs should be considered. Additionally, being at the heart of Europe and a role model for the rest of the modern world, a complete adherence to the local regulations is strictly enforced. Therefore, a complete understanding of the heritage perseverance laws and energy perseverance windows has to be followed. For instance a law in Brussels that requires when rebuilding or constructing to follow guidelines in terms of thermal isolations, which are known as the “Performance Enérgétique des bâtiments”. As Brussels is home to many ancient UNESCO heritage sites and protected buildings, the reconstructions of these building are complex. 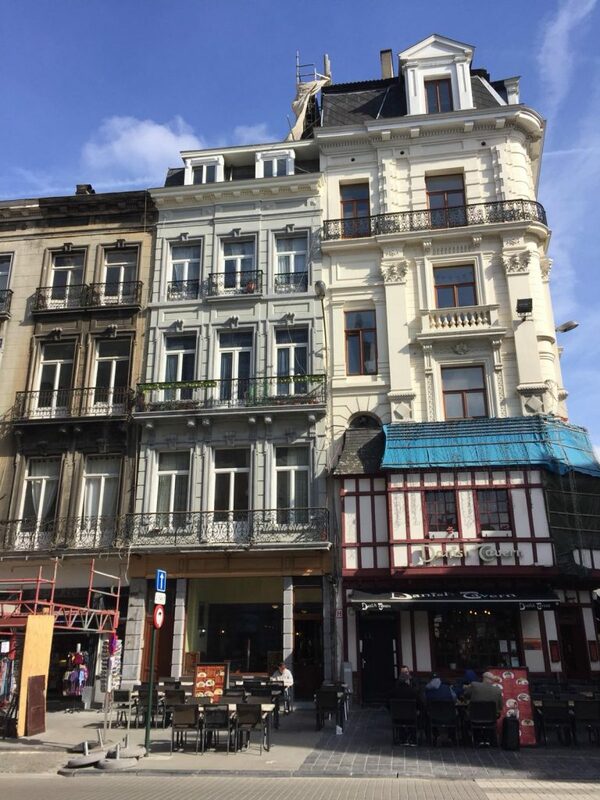 Therefore, when considering rebuilding these ancient building, an utterly strict law must be adhered to at all times to ensure the conservation of the heritage of Brussels. This also applies to the window industry, where installing high quality windows bring a certain risk of not fulfilling the complete requirements of the heritage laws. 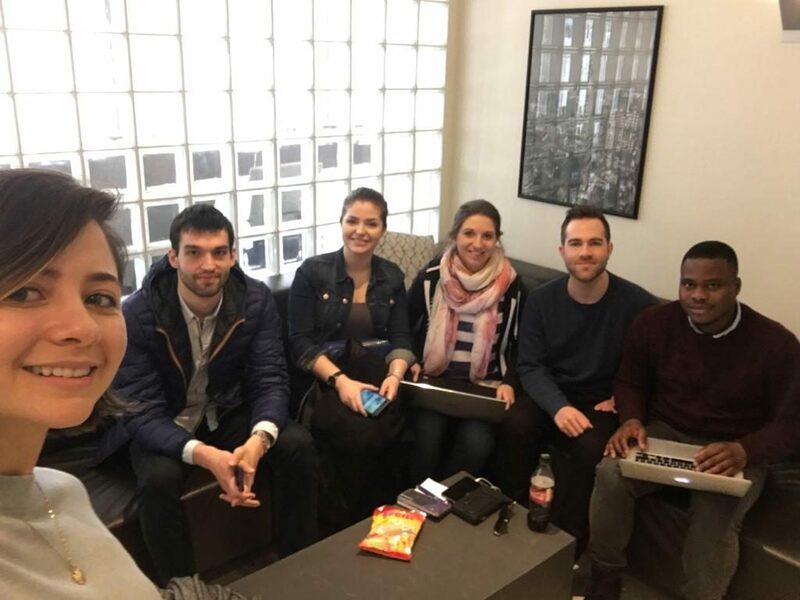 In order to set up a window business successfully, the company is recommended to set up an office in the heart of the city, where many modern building are already built and are further being constructed. Therefore, the European Quarter is suggested as a hub for the Belgian market. 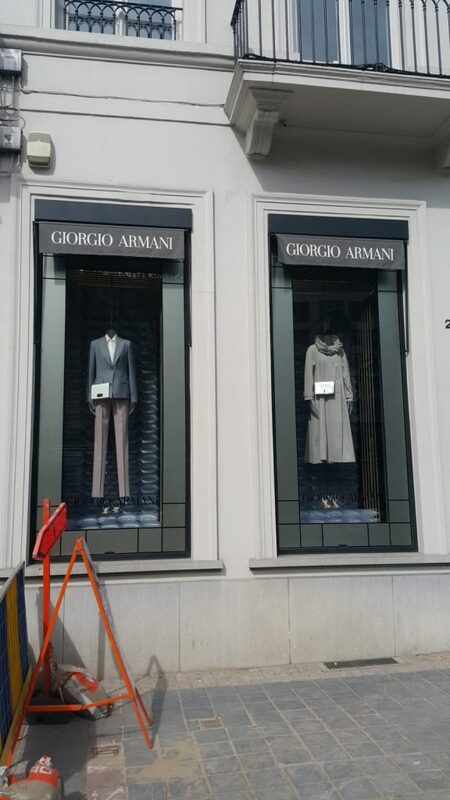 In the European Quarter it is vigilant that construction of buildings containing large windows is of strong fashion. The skyline, which is in an ever-growing state, boasts scenery of modern artifact for the window market. The competition is fierce, with company’s such as “protect house group”, “Building Windows” and “Monument Brussels” already dominating the market. Many more companies are present in the market of high-quality windows. Thus, a unique business model must be presented to the market in order to successfully differentiate themselves from the already strong positioned competition. We believe, that Brussels is a highly developing city that could always use a fresh player on the market when it comes to high quality windows. 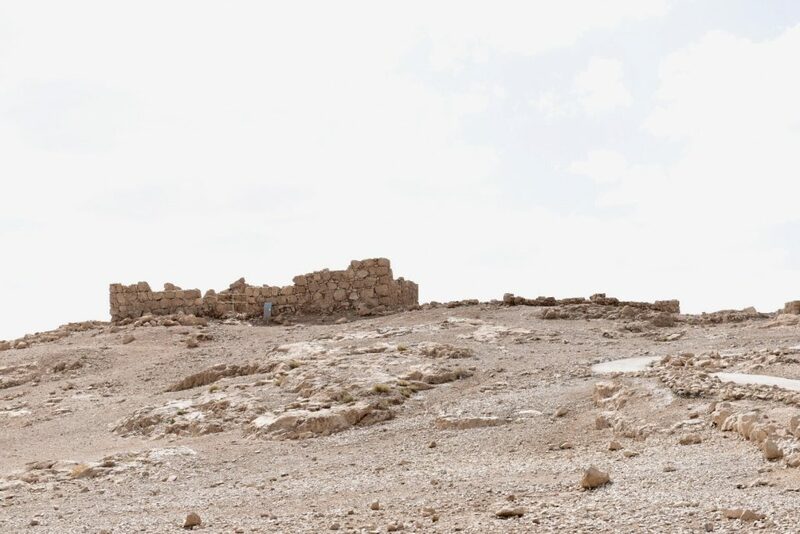 Therefore it is recommended, to concentrate on the business districts and developing areas, rather than the heritage sites, due to the reasons mentioned above. On behalf of our group, we wish the new entrant the best of luck. Pierogi´s is a Polish food truck offering vegetarian varieties of the traditional Polish dumplings called pierogi. Brussels is a multicultural city and residence to various foreign communities. Polish inhabitants constitute the sixth largest foreign group in the city. 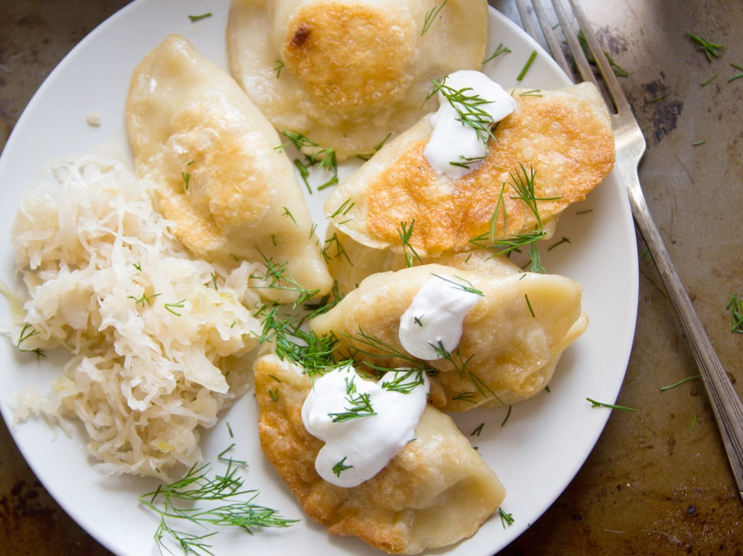 In addition to this population, Pierogi´s can also take advantage of and target the Eurocrats as they are always willing to try different cultures´ gastronomy. Furthermore, food trucks are very common in the city as they offer convenience and most of the international people working in Brussels get their daily lunch in the form of take away food. A food truck is the optimal way to enter the market as it requires low initial investment and operation costs and involves low risk. Due to mobility, the food truck can also attend events (e.g. conferences, exhibitions, and Brussels Food Truck Festival – the biggest food truck festival in the world) to reach more customers. Belgium is rather conservative when it comes to food. Traditional Belgian dishes revolve around meat or fish. Belgium has only recently begun to embrace the idea of vegetarianism, reflected by an increasing number of vegetarian options (i.e. restaurants, quick foods, and cafes). Because it is a relatively new concept in Belgium, it would be advisable for Pierogi’s not to sell the offer as “vegetarian,” but rather as the pierogi dish itself. The potential for Pierogi’s is high however since there is only one Polish restaurant in Brussels and moreover, one vegetarian food truck. 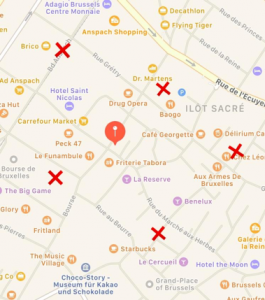 Because a big target group are the so-called Eurocrats working around the European district, the food truck should operate within that area (indicated in the graphic below). The truck will operate Monday to Friday at the locations Porte de Namur metro station, Trône metro station, Square Frère Orban, Boulevard de l’Impératrice and Square De Meeûs. Moreover, the city of Brussels provides a monthly updated schedulewith food tracks circulating around Brussels. The main competitors will not be the other food trucks since there is always only one truck at each spot, but more the local restaurants around each spot. Nevertheless, the city of Brussels does not accept an endless number of food trucks, to limit competition with local businesses. 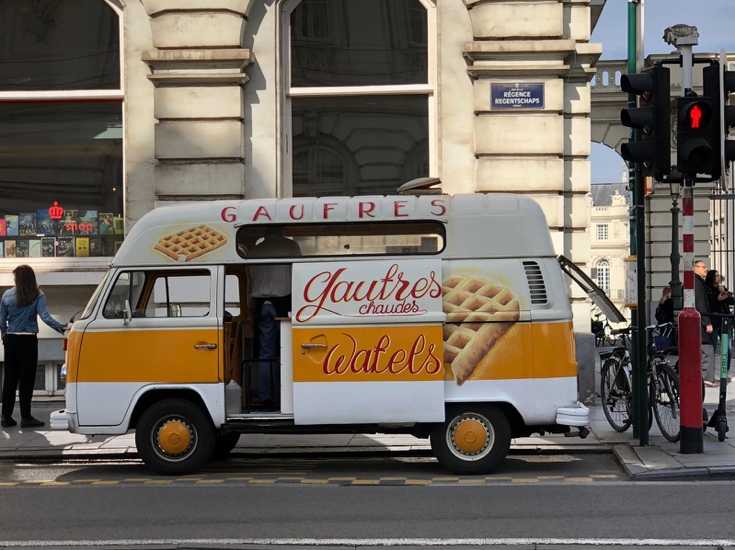 In order to start a food truck business in Brussels, the entrepreneur has to obtain a license from the Foodstuffs Inspection Department which is the part of the Federal Agency for the Safety of the Food Chain (FASFC). Other required license and permits include: a business license which tests the legal right to operate the food provider in the particular location; food-handler’s permit which ensures that employees’ safety in the cooking environment. Liability insurance is also required. Operational costs include costs such as parking, food inventory and labor. These costs can vary every month. The average operational costs are around $30’000 per month depending on the expenses. The labor costs constitute 25-35% of the operational costs. 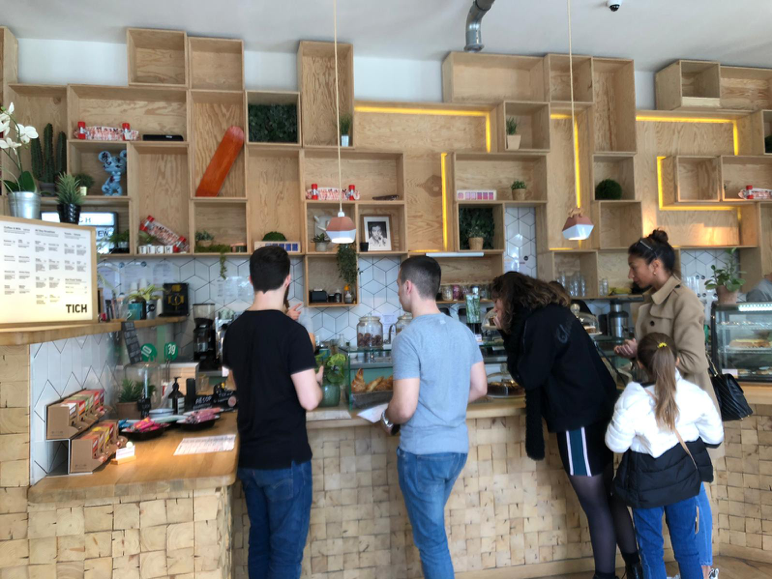 Having experimented in different locations throughout Brussels in its first two years, Pierogi’s can open a permanent restaurant in what it experienced to be the most lucrative. Upon doing so, Pierogi’s will need to register the restaurant, as well as consider the size and potentially expanding its menu offering. 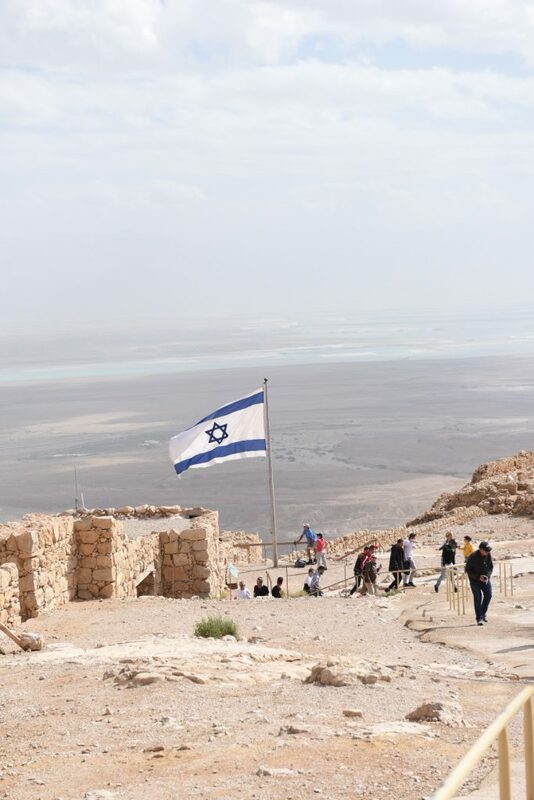 On the last day of our study trip we went to the national park of Masada. 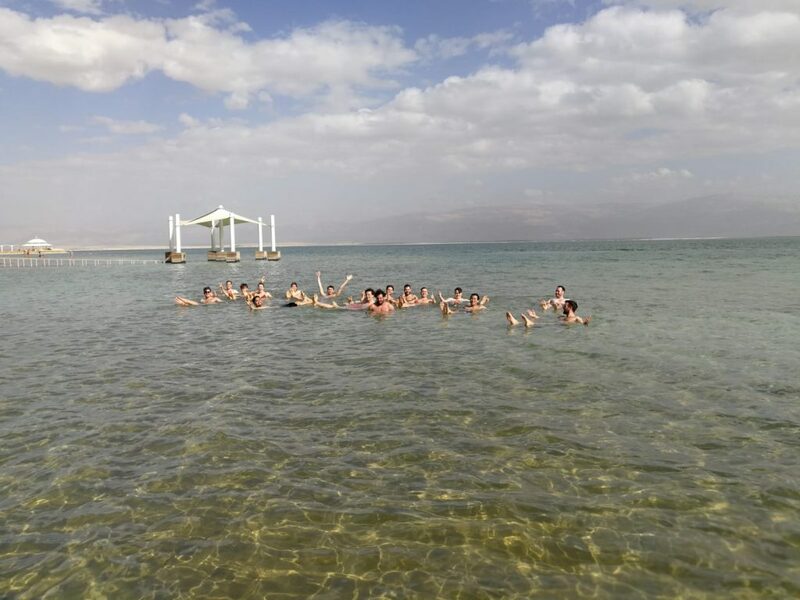 Located on the top of an isolated rock plateau, it provides majestic views of the dead sea and the surrounding Judean desert. 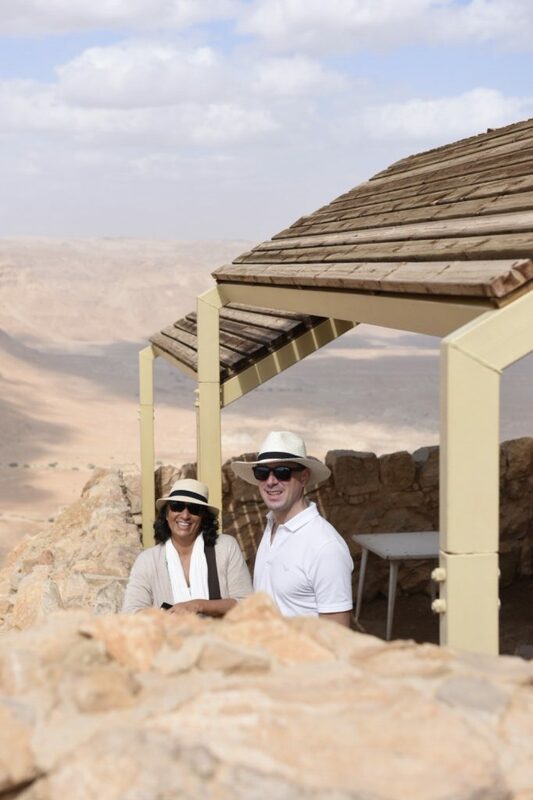 On our way from the hotel to this historic site we had the opportunity to visit the cosmetic producer Ahava. The visit included an overview of the company‘s core activities followed by a shopping spree through the on-site store. The company is known for its natural ingredients and vegan friendly approach to beauty. Ahava‘s products are based on 4 main ingredients: Water, Mud, Salt and Plants. After the shopping tour, students were equipped with new moisturizers, mud masks and skin treatments. Getting to the rock plateau we had two options. One group decided to walk the narrow ‚snake path’ up to the hill while the other half took the cable car to look at the acient structures on the mountain. 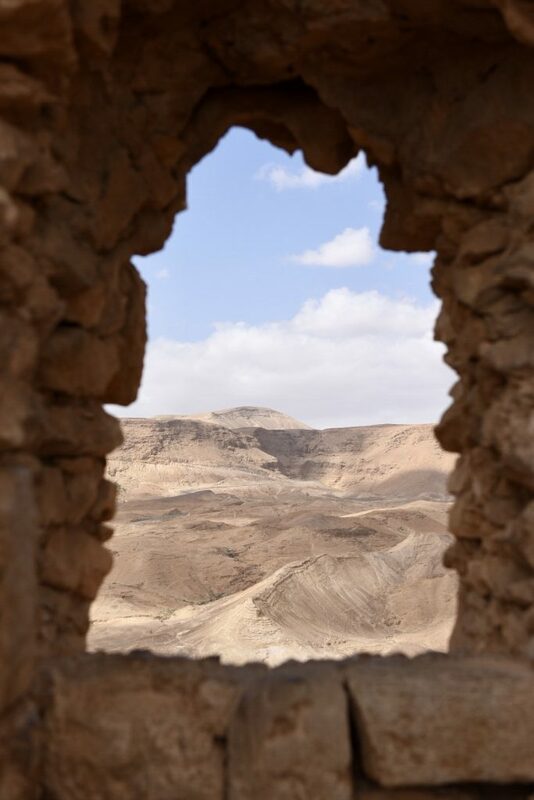 Masada was the last pastion of the Jewish Freedom Fighters and is regarded as a Jewish cultural icon as its last days were overshadowed by tragic events where the freedom fighters had to face the choice of death or slavery by the Romans. All in all, it was a great trip with a lot of impressions and insights into Israel’s culture and business environment. Many thanks to the organization team from all the students!